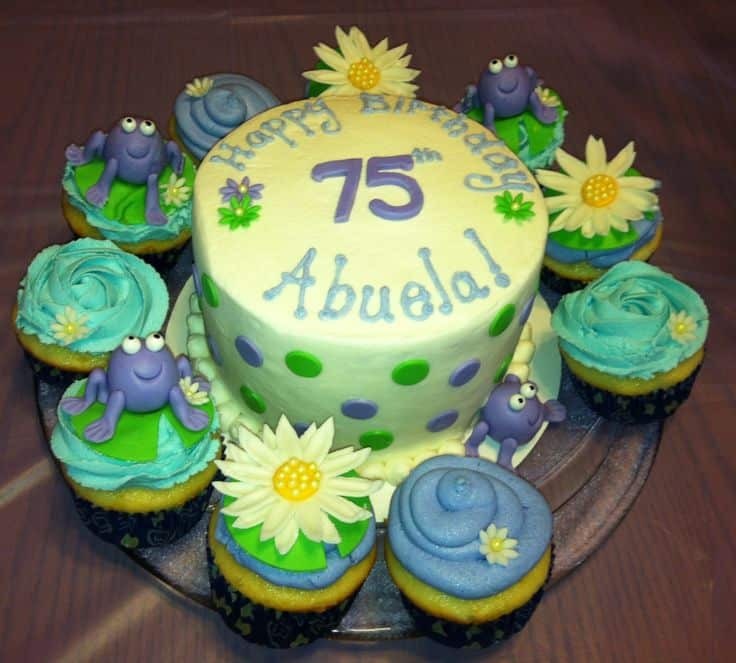 The cake always takes center stage at any party, so the pressure is on when choosing 75th birthday cakes! Here are some show-stopping cakes for a little inspiration. I’ve included both cakes that you can probably make at home, as well as ones that might provide a little inspiration if you’re going to have your birthday cake custom-made. 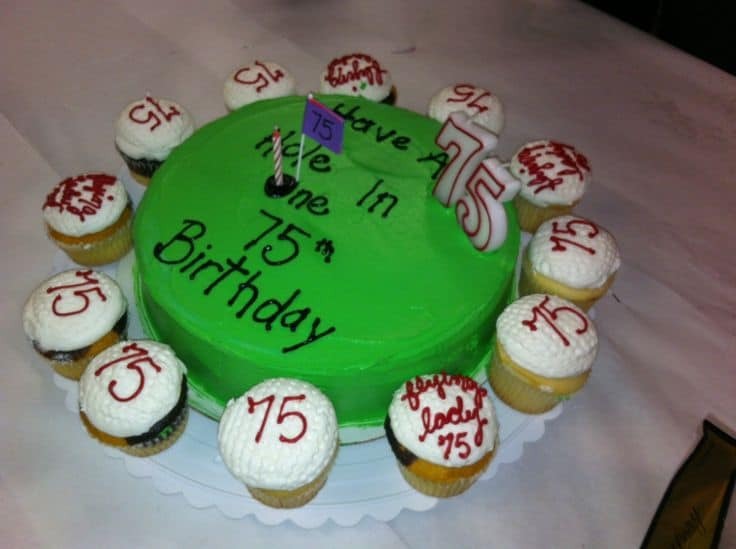 If you’re planning to make a 75th birthday cake yourself, an easy way to impress is to bake the cake in the shape of the numbers 75. You can buy specialty number cake pans (check ﻿Amazon or your local craft store) for around $20 each. 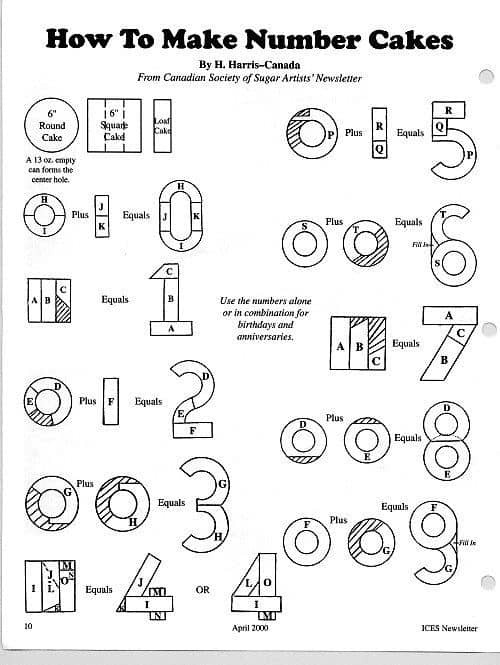 If you don’t want to splash out on specialty cake pans, use this handy chart to see how to cut round and square cakes in the numbers 7 and 5. This is actually a custom made cake by Great Cakes in the Outer Banks. Homemade cakes are the most delicious, and you probably have a favorite cake recipe you'd love to use. 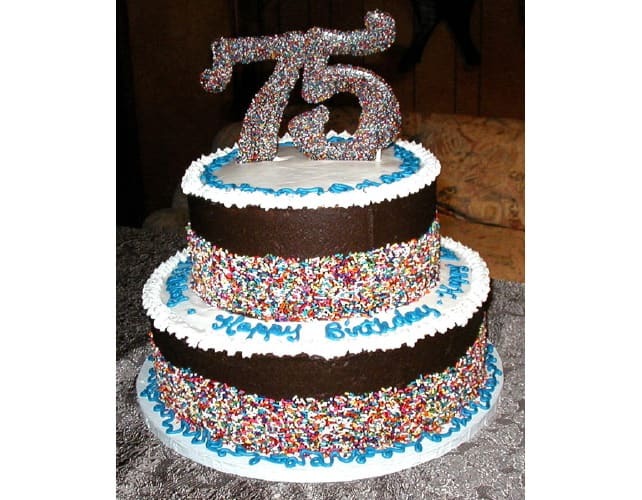 The easiest way to transform any cake in to a spectacular 75th birthday cake is to simply add a cake topper. Amazon has a great selection of 75th birthday cake toppers in a variety of styles and colors (I've featured of few of my favorites in the photo) - click here to see the complete collection of cake toppers. 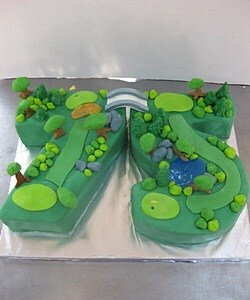 Here’s another homemade golf cake, but this one shows you some of the fun things you can do with the number cakes. 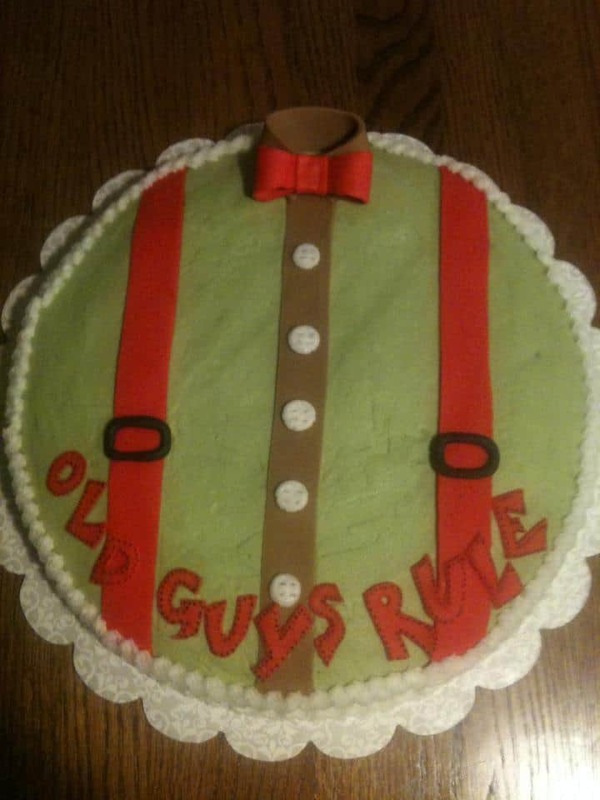 There are no directions for this one, but it looks to me like they used fondant to make the decorations. 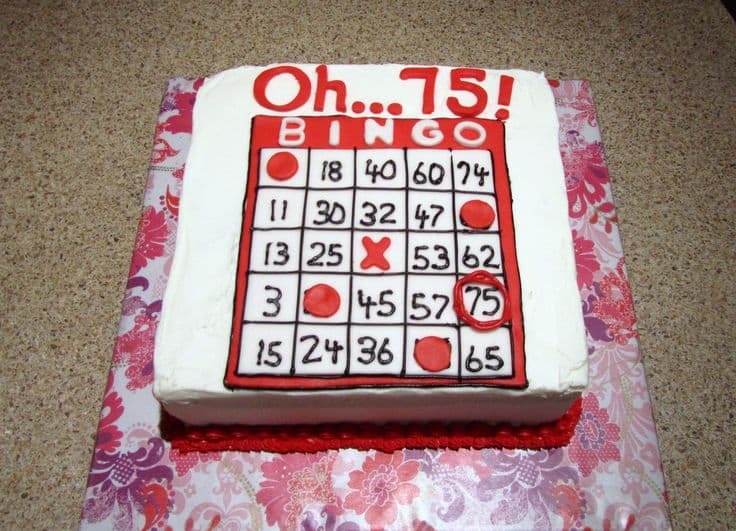 If you’re planning a Bingo-themed party, or the celebrant is just someone who really enjoys Bingo, this is a fun and easy cake that you could make at home. Give your cake a professional look – and a personalized touch with this unique personalized 1943 edible cake image. The artist will add the guest of honor’s name and age, and will then mail your the edible image. Planning a party for a gambler? This adorable slot machine cake would be sure to steal the show! The picture was posted over at Cake Central, but unfortunately the cake artist didn't leave any instructions. 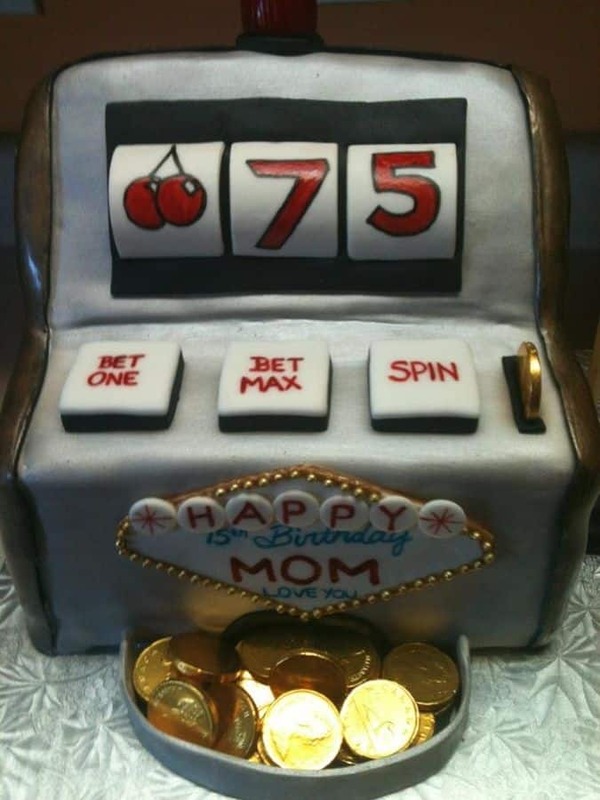 If you're looking for an easy way to decorate a 75th birthday slot-machine cake, simply add this cute slot machine edible cake topper to any cake. Turn into cake, either home-made or bought, into a unique masterpiece by adding a unique edible image on the top. Check with your local baker or grocery store, or you can place an order with this seller on Amazon. Edible images are available for standard size sheet cakes, round cakes or cupcakes. 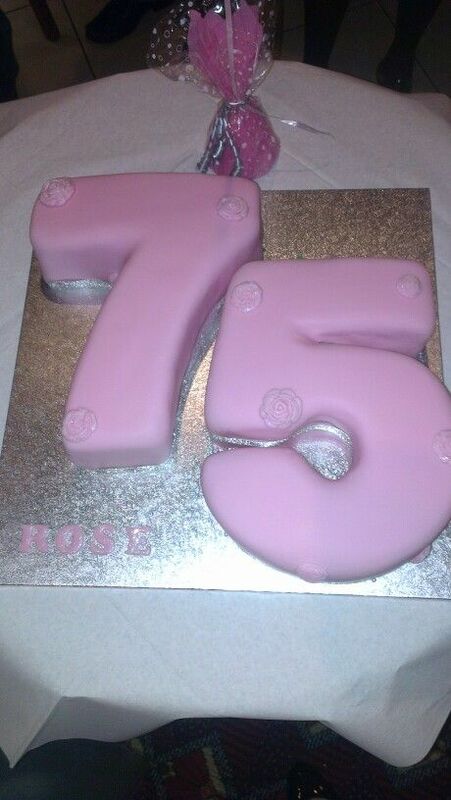 Here's an example I found on Pinterest of a simple yet elegant number 75 birthday cake that's decorated with fondant. What a clever (and easy) idea for a golf-themed party! The gummy life saver hole-in-one is a fun touch, as are the cupcakes decorated to look like golf balls surrounding the cake. This could probably be adapted to other sporting themes as well. What a sweet way to show off some of your favorite photos of the birthday celebrant! They used edible photo images on top of the cake (and I love how they outlined the images with frosting so that it looks like frames). They then surrounded the base of the cake with more photos (regular, not edible). No direction, unfortunately. 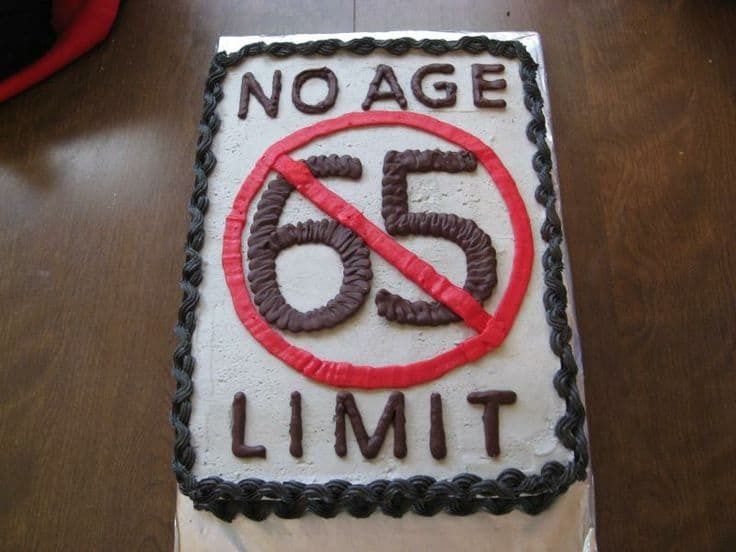 A clever and easy birthday cake for the guy with a sense of humor about turning older! There weren’t any directions, but I think you could do this pretty easily with fondant (or fruit-rollups, if you’re intimidated by the idea of fondant). I think this cake is so much fun! Fortunately, there are complete directions on the Wilton site. 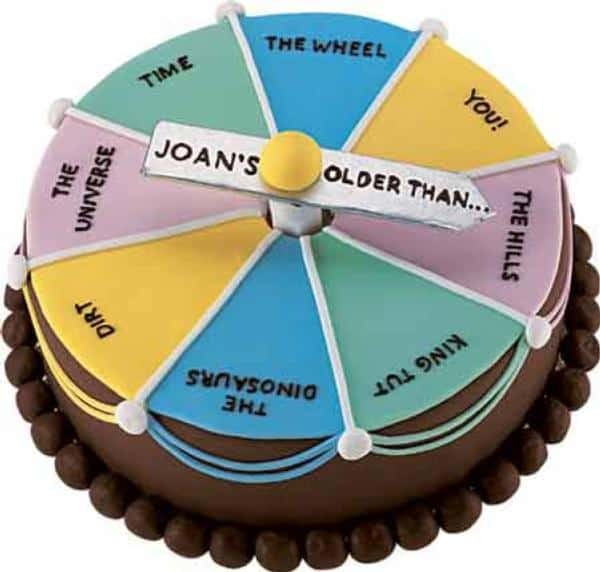 This clever cake is from Auntie Diggles Desserts in New Hampshire, but I think it’s one that most of us could make at home. 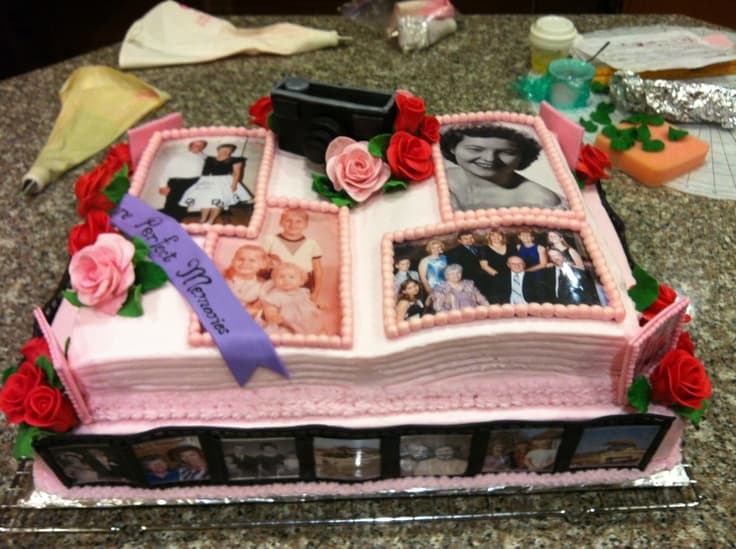 Or you could probably show the picture to the bakers at your local grocery store or Walmart to have them replicate it. Another cake without directions, but it was just so cute (and looks pretty easy) that I had to show you. Although the cake itself is cute, what I like best are the whimsical cupcakes surrounding it. You could do this with just about any theme. If you’re not the type to make fondant figurines for the cupcakes, you could see what kind of pre-made ones they have at your local craft store. You could also use silk or plastic flowers or figurines. 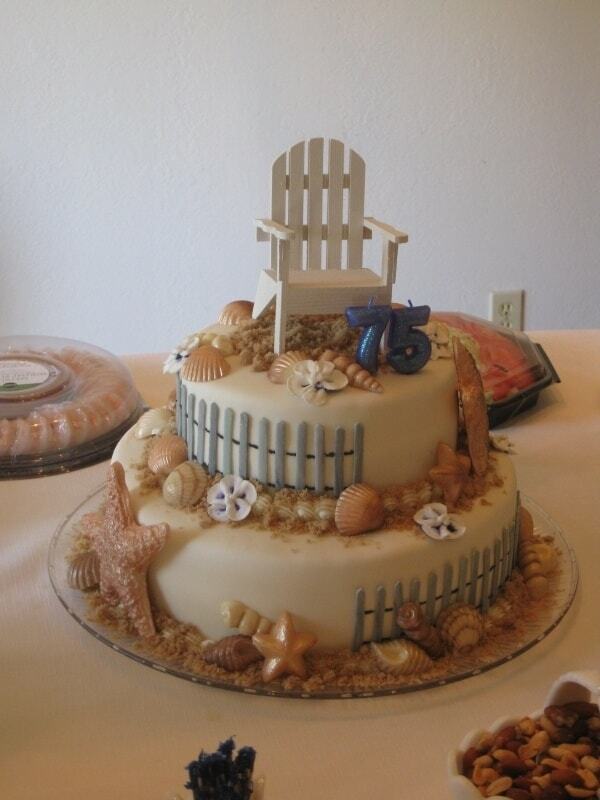 I’m a beach lover, anyone, so maybe that’s why I love this cake so much! Although it’s very impressive, it’s not quite as hard as you might think – the shells are actually white chocolate that she painted with perl dust. The fence is gumpaste, but the chair is actually a purchased wooden chair. You can find out more details at Cake Central.